In this article, originally post on Think Progress, Ken Menkhaus explores the motivations behind Shabaab’s attack on the Westgate shopping mall. Ken is a professor at Davidson College and a fellow at the Enough Project. The bloody Shabaab attack on Nairobi’s Westgate shopping mall on September 21 was an act of desperation by a jihadi group beset by internal power struggles and plummeting support. It is intended to provoke a violent backlash against ethnic Somalis by the Kenyan government and Kenyan citizens. Angry and frustrated Kenyans must resist the urge to play into Shabaab’s hands. Ever since Shabaab’s ascent to power in 2007, security and country experts have worried about the possibility that Shabaab – which has long had a network in Kenya – would attack one of Kenya’s many soft targets. Nairobi’s busy shopping malls have always been a top concern. In addition to the loss of life, such a terrorist attack would have enormous ripple effects, costing Kenya hundreds of millions of dollars in lost tourist and business dollars. Yet for six years, the jihadi group opted only for a series of relatively small-scale attacks in Kenya, most of which appear to have been free-lance actions inspired by, rather than directly launched by, Shabaab. What was constraining Shabaab, even at the height of its power and popularity in Somalia in 2007-08, from taking the war to Kenya? The answer, we surmised, was that Shabaab did not want to disrupt the interests of hundreds of thousands of Somalis living and investing in Kenya. Since the collapse of the Somali state in 1991, over a million Somalis have fled to and through Kenya, and many now have extensive business and real estate investments there. For all of the deep tensions between Somalis and Kenyans, Somalis are major stakeholders in Kenya today. Were Shabaab to launch a large-scale terrorist attack in Kenya, the argument went, it would risk provoking a heavy Kenyan crackdown on all of those Somali businesses. That in turn would provoke a backlash by Somalis against Shabaab. At that point, Shabaab would not have to worry about what the Kenyan or US governments would do to them — they’d have to worry about what fellow Somalis would do to them. Messing with Somali business interests has never advanced the interests of any political actor in Somalia, foreign or local. But the argument went further than this. Many of us also warned that Shabaab’s reluctance to attack soft targets in Kenya (or elsewhere, including in the US) was contingent on the group’s continued success in Somalia. Were the group to weaken and fragment, it would be more likely to consider high-risk terrorism abroad. Paradoxically, a weakened Shabaab is a greater threat outside Somalia than a stronger Shabaab. And make no mistake – Shabaab is weakened. It is still one of the strongest armed groups in south-central Somalia, and still capable of daily assassinations and terrorist attacks in Mogadishu, but it is in a state of serious decline. Over the past two years, it has lost control of almost all urban areas and the lucrative revenues from seaports like Kismayo. Its deep internal divisions exploded in armed conflict this year, resulting in the deaths of several of its top leaders and the splintering of the group. Most foreign mujahedeen have become disillusioned and left Somalia. And, most importantly, far fewer Somalis, both in country and in the large Somali diaspora, actively support the group. The Westgate attack is the latest sign of the group’s weakness. It was a desperate, high-risk gamble by Shabaab to reverse its prospects. If the deadly attack succeeds in prompting vigilante violence by Kenyan citizens or heavy-handed government reactions against Somali residents, Shabaab stands a chance of recasting itself as the vanguard militia protecting Somalis against external enemies. It desperately needs to reframe the conflict in Somalia as Somalis versus the foreigners, not as Somalis who seek peace and a return to normalcy versus a toxic jihadi movement. Those who argue that this was a bid by Shabaab to demonstrate its continued relevance to Al Qaeda are mistaken. Shabaab’s gratuitous violence against civilians has long been a source of friction with Al Qaeda, whose leaders have been appalled at Shabaab’s counter-productive tactics. An attack on a shopping center filled with civilians of all religions and nationalities only damages further Al Qaeda’s ‘brand name’ and is likely to widen further the gap between Al Qaeda and Shabaab leadership. The fact that Shabaab is too violent for Al Qaeda says a lot about how extreme this group has become. The Kenyan people and government now control the next move. If they respond to this terrible tragedy with restraint and respect for due process and rule of law, they will do more to undermine Shabaab than all of the counter-terrorism operations conducted inside Somalia. Kenya and Kenyans are not the only players who have the next move. Somalis – in Kenya, in Somalia, and in the diaspora – also face an unavoidable and immediate choice. Either they can mobilize against Shabaab and take the movement out once and for all – by drying up its financial sources, exposing its operatives, and denying the movement any safe space from which to operate – or they can sit on their hands and make vague calls for a negotiated settlement, as they have done for years. Somalia desperately needs a “Sunni uprising” against the hard-core extremists who now make up what is left of Shabaab. If Somalis refuse to act decisively against Shabaab, then it will be up to foreign governments to crush the group. But this will entail crackdowns that will almost certainly impact innocent Somalis and legitimate Somali businesses in Kenya and around the world, and that is not in anyone’s interest except Shabaab’s. This is ultimately a Somali problem, and requires a Somali solution that is swift and unequivocal. If that happens, the terrible attack of September 21 will go down as the day Shabaab dug its own grave. 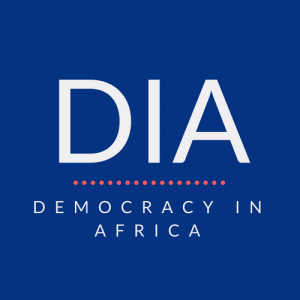 © Copyright © 2017 | Democracy in Africa | All Rights Reserved.